If you are locked out of your car and need a locksmith, call Macon Towing Company for an experienced technician to unlock your car. 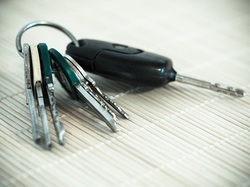 We will be there in a jiffy and Get your keys for you so you’ll be back on the road as soon as possible. With 24 hour roadside assistance and service that can be beaten, car lockouts are one of our many specialties. ​This is truck company doesn’t just serve Macon Georgia, but provides roadside assistance to Warner Robins, Jeffersonville, Fort Valley and Beyond. We are central Georgia's car unlocking processionals.